The president, who surely has better things to do, is still feuding with John McCain seven months after the Arizona senator passed away from brain cancer. 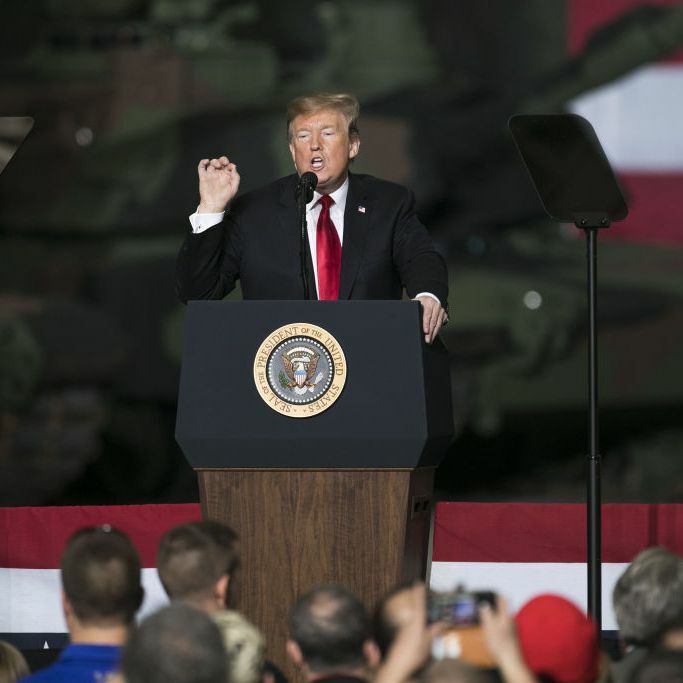 Though he endorsed McCain in the 2008 presidential race, Trump has made a public show of belittling the late senator, at first for losing to Barack Obama, perhaps the only figure more reviled than McCain in the Trump extended universe. Later, Trump hurled potshots at McCain for being the rare GOP figure to continually stand up to Trump in his rhetoric, if not necessarily in his voting record. “I know John McCain, and John McCain’s a great guy, tremendous guy,” Trump told Larry King in September 2008, in one of the last breaths of praise he would bestow on the senator. Below, a highlight reel of moments in which Trump said otherwise. During Obama’s reelection campaign, Trump took some comparatively subtle jabs at McCain for losing the ’08 race. Trump dismissed the McCain campaign as “nice & respectful.” “I’ll bet John wished he had that decision to do over again,” he tweeted. I like John McCain but we have to start rebuilding the United States instead of countries who hate us and want us to fail - be smart! In July, as if to keep up their annual summer beef, McCain lashed out at Trump, after the president co-hosted a deferential joint press conference with Vladimir Putin, in which Trump said “I don’t see any reason why it would be” Russia who interfered in the 2016 election. The Arizona senator reportedly “[did] not want” the president at his funeral, a request his family honored. Trump played golf at his club in Virginia the day of McCain’s funeral. As if haunted by the late senator, Trump has not been able to overcome the conflict. Last week, Trump tied together this squabble with the dominant thread of his presidency, claiming that McCain’s decision to send the Steele dossier to the FBI was an attack against him.